In this seminar the focus will be on playing techniques of the violin and scale structures in modal musical idioms (primarily from the Makam world) as well as on improvisation and rhythm. During the course of the seminar the student will have the opportunity to learn traditional melodies from Greece, Balkan rhythms, Makam analysis, as well as repertoire from the Turkish and Arabic traditions. We will also examine some ideas about composition and orchestration within the context of modal musical traditions. 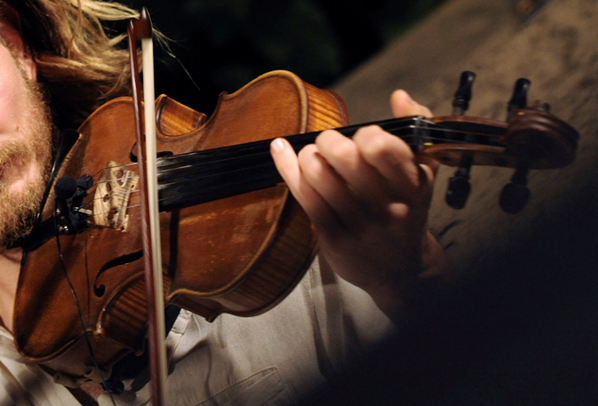 Of particular interest to violinists coming from a western classical background will be a detailed analysis of the different playing techniques relevant to the violin in the aforementioned traditions (techniques which differ significantly from those employed in the Western European tradition). Giorgos Papaioannou will also make reference to the use of different symbols in the written scores of certain traditions such as in Ottoman classical music.